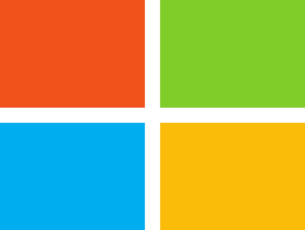 Windows Photo Viewer (WPV) is the default photo viewer in Windows 8.1, 8 and 7. Windows 10 users can also still use the software for opening images, but it’s not the platform’s default photo viewer. WPV occasionally returns this error message for some users, “Windows Photo Viewer can’t open this picture because either Photo Viewer doesn’t support this file, or you don’t have the latest updates.” Consequently, the WPV users can’t open their images with the software. Here are a few potential fixes that might resolve this software issue. Does Photo Viewer Support the Image’s File Format? 1. Does Photo Viewer Support the Image’s File Format? The error message highlights that Photo Viewer might not support the image’s file format. WPV doesn’t support that many formats. 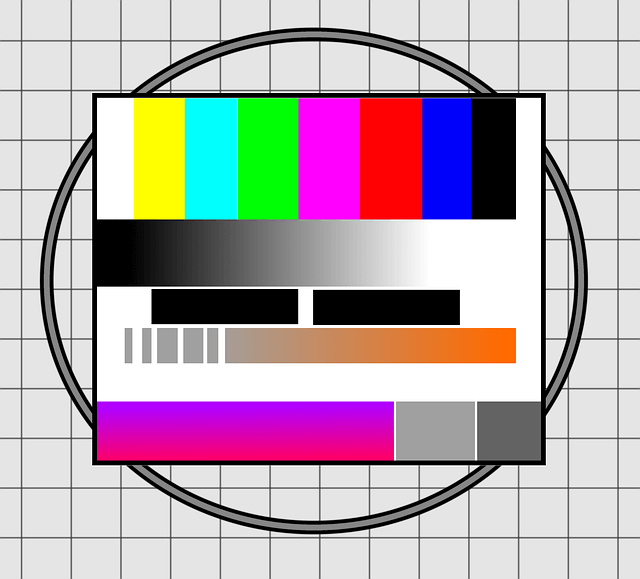 The software supports JPEG, BMP, PNG, GIFF, and TIFF. The image isn’t going to open in WPV if it has an incompatible file format. If your picture isn’t one of Photo Viewer’s supported file formats, convert it to a JPEG, GIFF or BMP. Open the image with editing software that does support its format and select File > Save as. Then select JPEG from the Save as type drop-down menu, and press the Save button. Before starting to search for errors and problems inside your OS, we would recommend you to let a third-party software do the job for you. 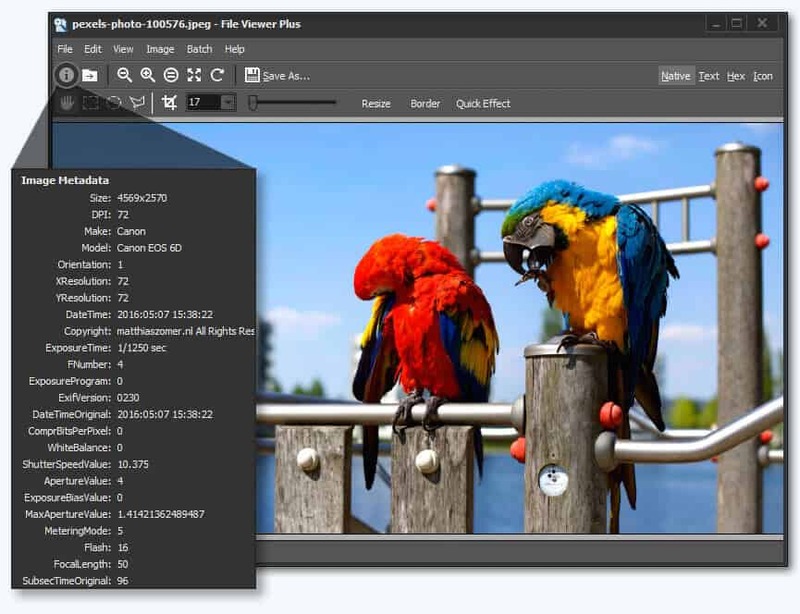 File Viewer Plus is a great tool that supports more than 100 image file types and more than 300 overall. 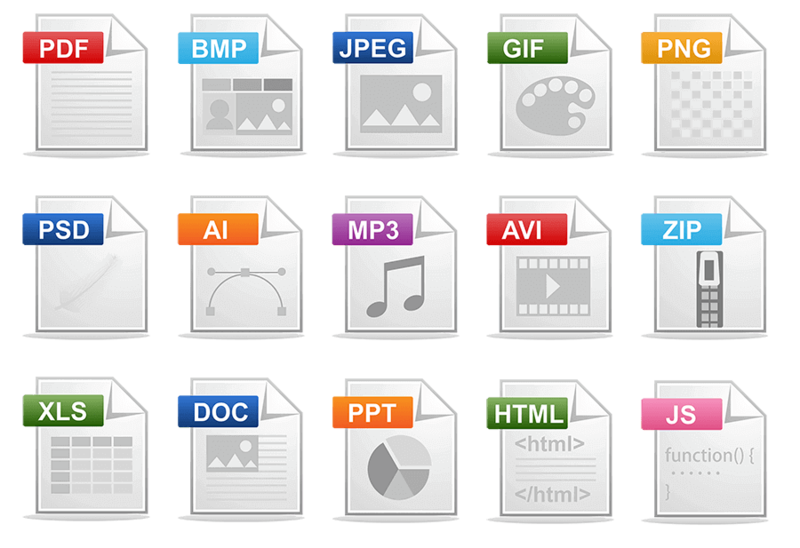 This tool will not only open your pictures and other image format files, but it also lets you easily batch convert them in one of the most used image formats: JPEG, PNG, TIFF, GIF, BMP. The only thing you have to do is download it, set it up and open your files with it. It will also help you with other files whenever you will need to. If Photo Viewer does support the image’s file format and you’re still getting the same error message, run the System File Checker. It could have something to do with corrupt system files. In which case, an SFC could do the trick. Both Windows 8 and 10 users can open the System File Checker from the Win X menu. Press the Win key + X hotkey to open that menu as below. 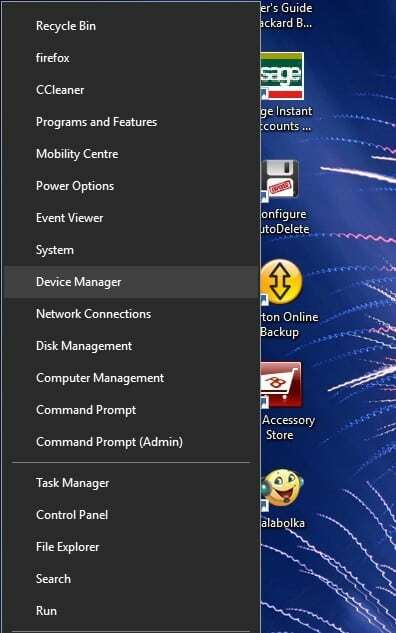 Then you can select Command Prompt (Admin) from that menu. 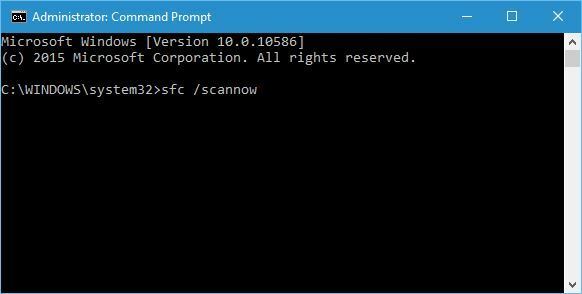 Enter ‘sfc /scannow’ in the Prompt, and press the Return key. The scan will probably finish within half an hour. If SFC fixes anything, restart Windows and open the required image with WPV again. 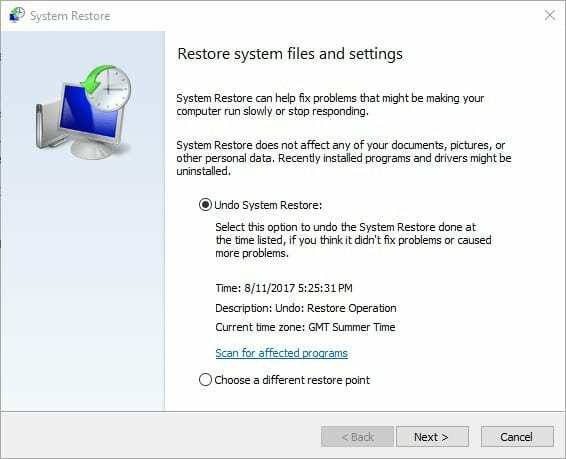 System Restore restores Windows to a previous date. With that you can return Windows back to a time when WPV was opening all supported file formats without an error message. 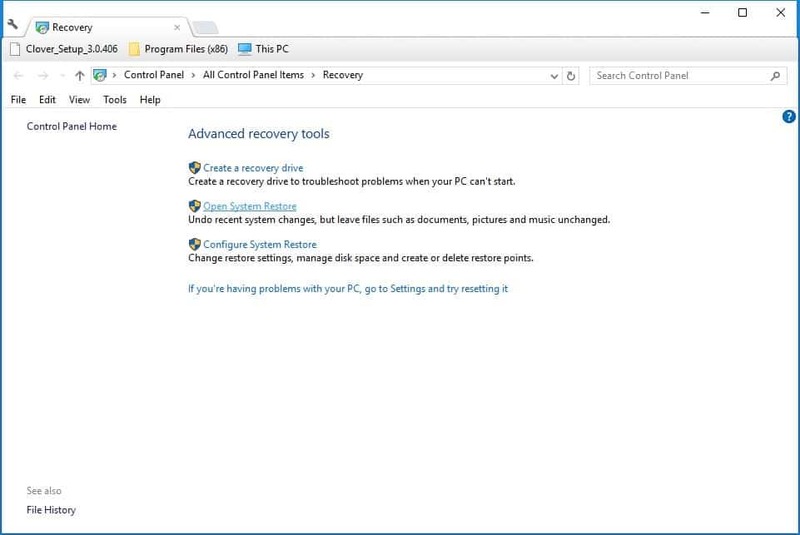 This is how you can utilize the System Restore tool. First, open the search box. Windows 10 users can click the Cortana taskbar button to open the search tool, or press the Win key + S hotkey in Win 8.1. Next, enter ‘recovery’ in the search box. Select Recovery to open the tab in the snapshot directly below. Click Open System Restore to open the tool. Click Next and select Show more restore point to expand the list of restore points. Select a restore point, and press the Next button. Click Finish to restore Windows. Android mobiles have encryption settings that encrypt accounts, apps, media and files. Encryption on mobiles also encrypts images. Consequently, WPV might not open encrypted image files imported from Android phones. You can fix that by switching the mobile encryption off. On Android 5.0 or higher phones select Settings > Security. You can then select an encryption setting from there to encrypt and decrypt the phone with. Decryption will take a while, so plug the mobile in to charge it. Transfer the same image files from the mobile to Windows again after decrypting them. Note that not all Android phones have a decrypt button, and for those that don’t, such as Nexus 5, a factory reset is usually required. The error message also states, “you don’t have the latest updates.” This suggests you might have an outdated version of WPV that needs an update. 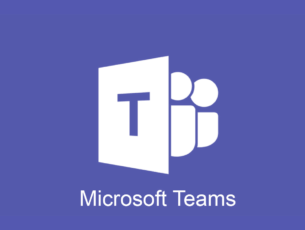 For example, Microsoft released an update that fixed a Photo Viewer printing issue. As such, checking for updates in Win 8.1 and 10 might also fix this WPV issue. Note that Microsoft no longer supports Windows 8. You can check for updates in Windows 10 by pressing the Cortana button and entering ‘updates’ in the search box. You can press the Win key + S keyboard shortcut to open the search tool in Windows 8. 1, and enter the same keyword. Select Check for updates to open the Settings app options below. 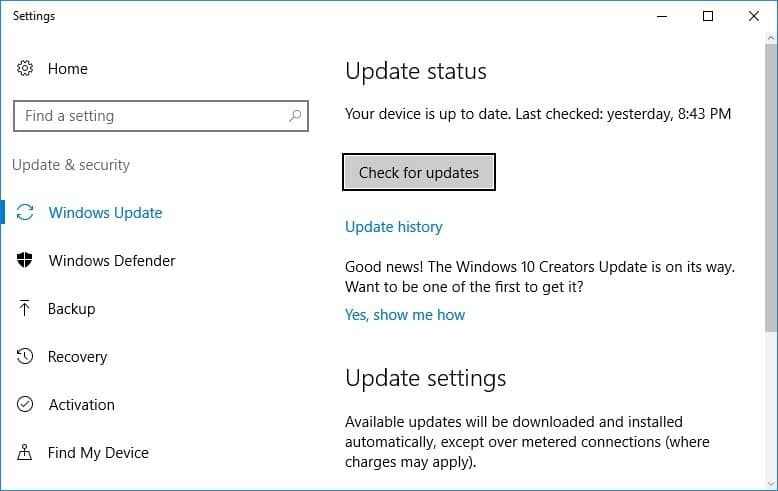 Press the Check for updates button in Windows 10, or click Check now in Win 8.1. If you still can’t fix Photo Viewer, who needs it anyway? Windows 10 users can always open images with the Photos app. There are also plenty of great third-party software alternatives to WPV that you can open images with. We recommend FileViewer Plus as it has a straightforward interface and a plethora of very useful features. Easy to set up and use just as drag-and-drop. A free fully functional trial is available to download here. Those are a few of the potential remedies that will fix Photo Viewer so that the software opens the images you need it to again. Even if the fixes don’t resolve this WPV issue for you, you can always open the pictures with a universal file viewer. Editor’s Note: This post was originally published in August 2017, and has been completely revamped and updated for freshness, accuracy, and comprehensiveness.